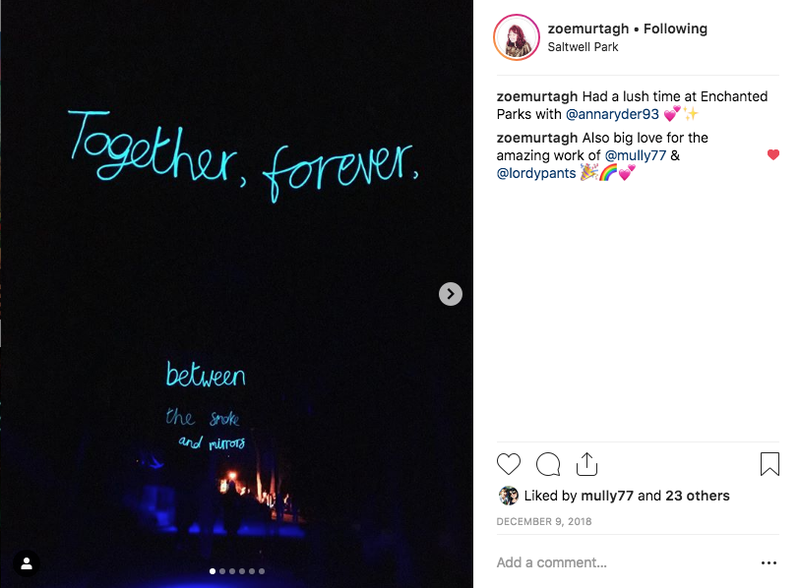 For Enchanted Parks; an annual after-dark winter event in Gateshead’s Saltwell park, I created an artwork inspired by the event theme and title ‘The House of Lost and Found’ along with other multi-art form artists and companies. 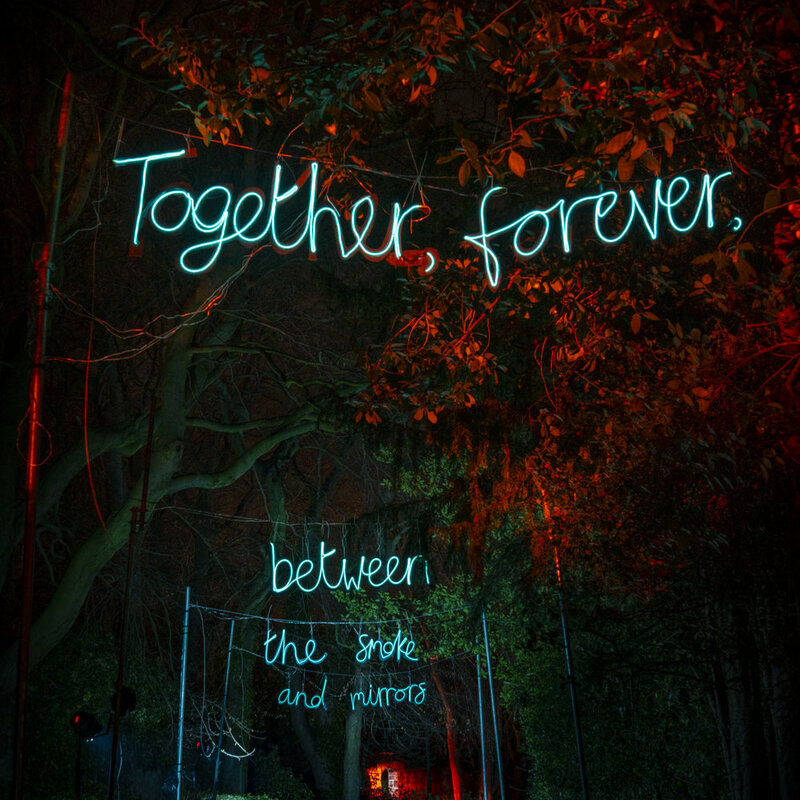 I created text connected to the over-arching story, in the style of neon lights, working with award winning North East based writer Susan Mulholland who developed the words that would correspond with the unfolding narrative. The phrases were made to appear handwritten - floating in amongst the dark, mystical trees and parkland. “A really special event, the kids loved it and we forgot where we were all evening, completely mesmerised by the experience” Audience Member. “We spent two hours in the park, a completely magical experience” Audience Member. 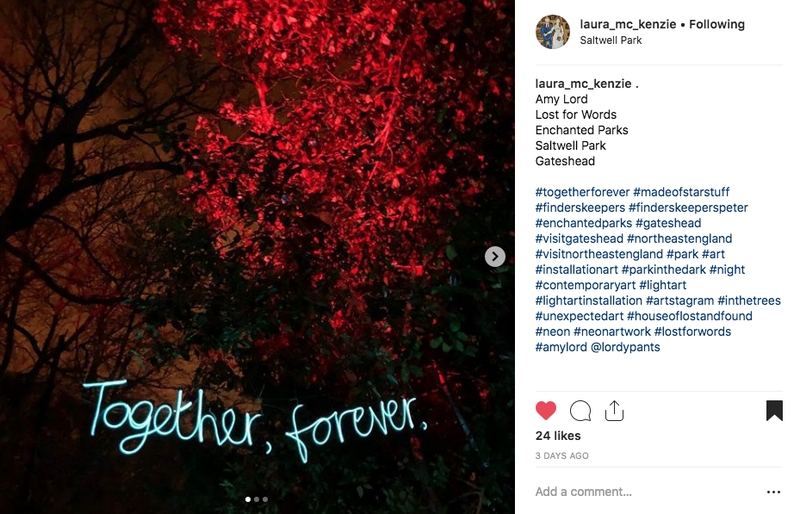 Enchanted Parks 2018: The House of Lost and Found, commissioned by NewcastleGateshead Initiative in partnership with Gateshead Council. Photos: Richard Kenworthy.